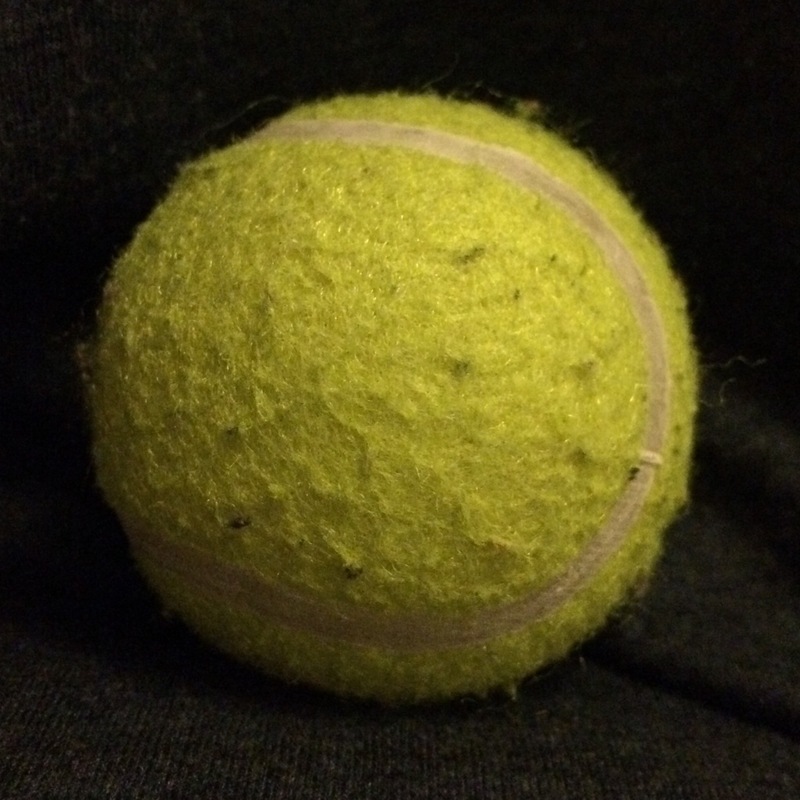 Nothing sordid to see here, but I’ve had a tennis ball in my pants for the last couple of weeks. The back of my pants, in case you’re curious. And it’s brought me a lot of comfort. I’ve had sciatica for a few weeks now. Painkillers were doing little. Massage and acupuncture brought some relief , but the tennis ball has really helped me do deep massage on my left cheek when the pain is bad. Either standing back to a wall and moving around to roll it into painful areas, or rolling it by hand when I need it. I can sit on it and get deep pressure in the sore bits. It’s been a lifesaver. So if you see a ball drop from my jeans, don’t worry, no funny business, just dealing with the pain.